As I was browsing my Amazon wishlist yesterday, I noticed a new avatar icon with a + Invite button next to it. The explanation pop-up said, "Invite others to add or remove list items," and I nearly squealed from joy. Could it be? For real? By golly, it was finally happening! Inviting others to collaborate on your Amazon lists. Tapping the invite button gives you a URL to copy and share with your friends and/or family. 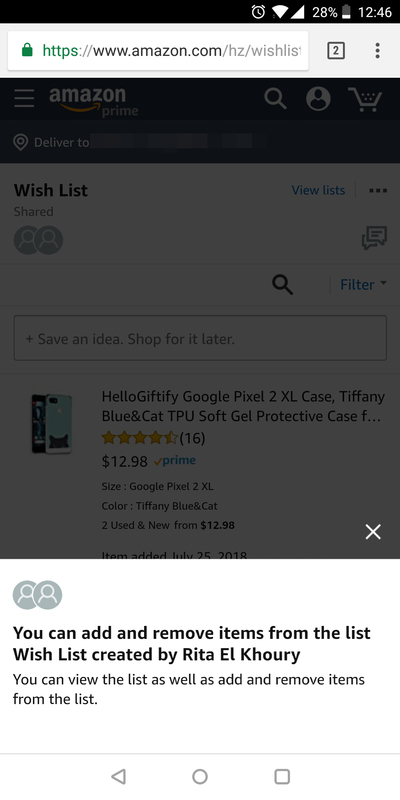 When they follow the link, Amazon opens up in the browser and they will see a message saying they can now add and remove items from your list. For them, this list now acts as one of their own. 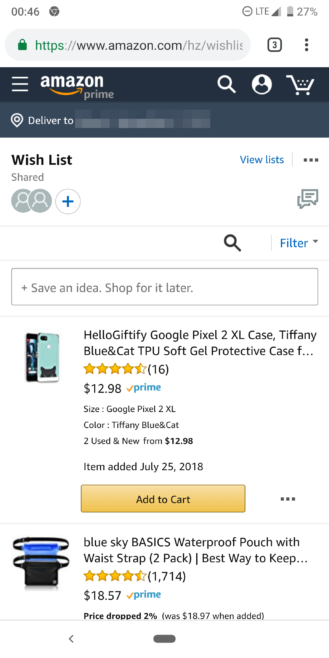 They can view it, add products to it, modify quantity, edit comments, and remove any product they think aren't needed anymore. That is quite different from a regular shared list where they can only view your items and not much else. Left: Pop-up for the invite recipient. 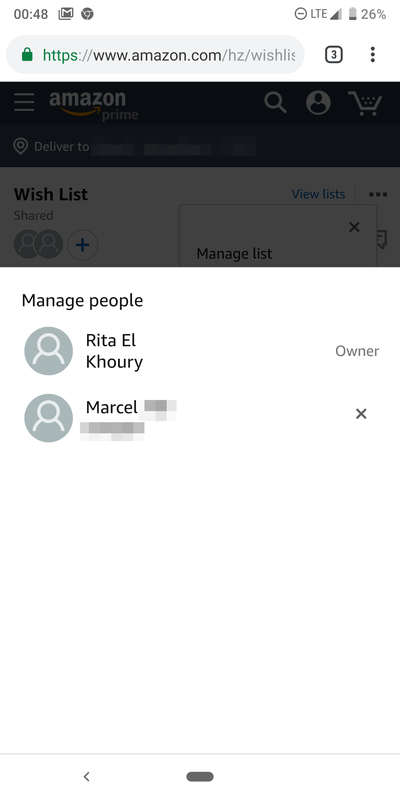 Right: List now shows two users are collaborating on it. 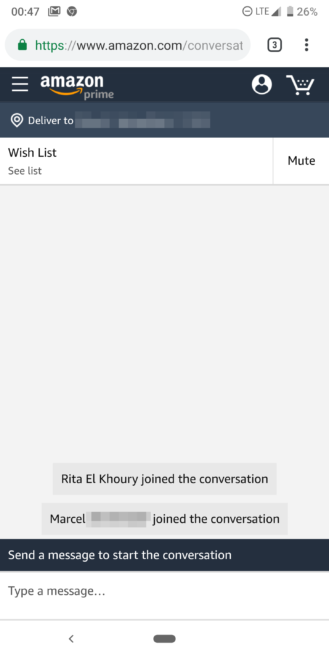 You will also notice a new conversation icon on the right where all users can send messages to discuss the different list items. For the original owner, tapping the three dots on the top right then Manage people will display all users with access to this list. This is where they can revoke access from any other user. Left: Starting a conversation about a collaborative list. Right: Managing users with access. One last thing to note is that sharing and inviting/collaborating do coexist. You can still simply share a list to lets others view it without giving them any editing privileges. Or if you trust someone, you can invite them and let them provide input on your lists. 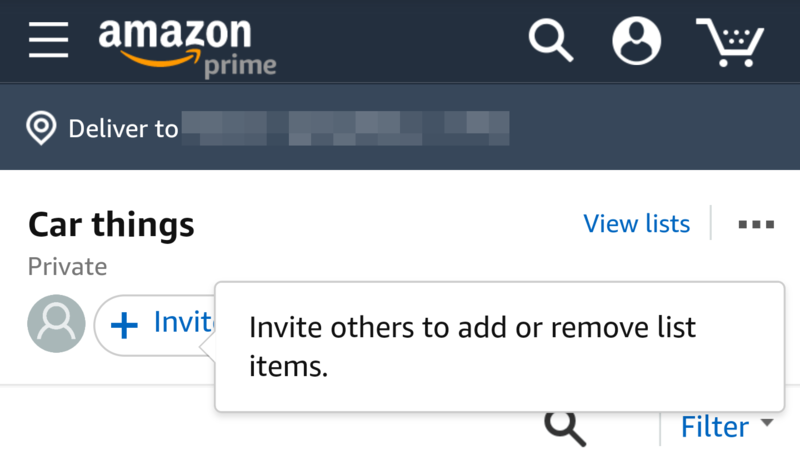 Amazon's own help pages still don't mention anything about inviting users or collaborating on lists, so this feature does indeed seem to be new. I can see it on the Amazon mobile and desktop sites, but not on the native Android app yet. Odds are it will roll out there at some point. For now, I will bask in the joy of finally having proper shared wishlists with my husband. For a company whose bread and butter is to make purchasing items as easy as possible, it's about dang time it let us collaborate on our product lists. It's your turn now, eBay. 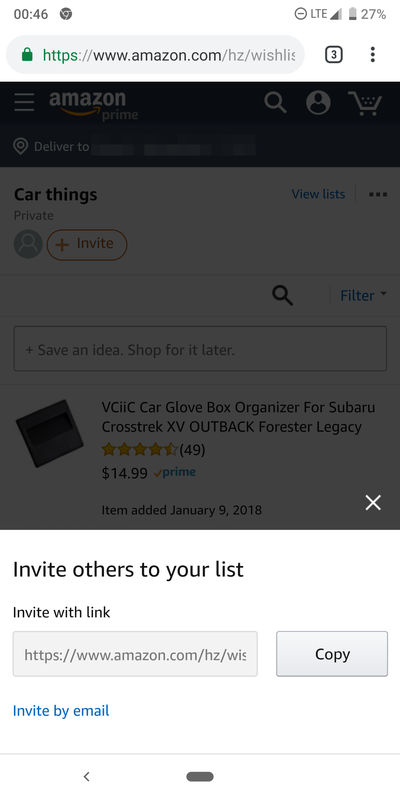 Amazon has reached out to let us know that the collaborative shopping and wish lists are now officially available to all. 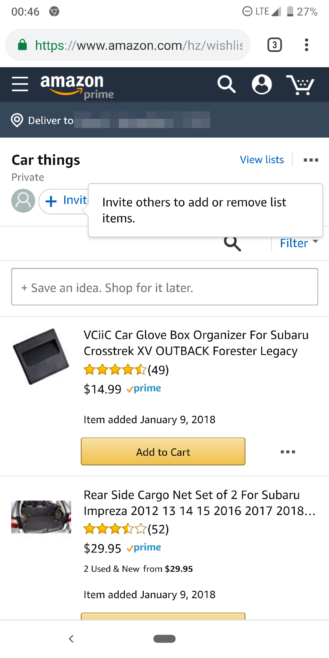 As explained above, you can invite users to see your lists, add and remove items, comment and talk about the list, and when anyone buys something, it'll be moved to the "Purchased" tab so that you don't buy the same item twice.